Each year the USGBC member community has a special opportunity to influence USGBC's future leadership, governance and strategic direction by electing its national Board members. The Nominations and Election Process for the 2012 Board of Directors - culminating in electing five national Board members to serve three-year terms beginning Jan. 1, 2012 - is officially underway. On behalf of the Nominating Working Group, I encourage you to participate in some important ways. Each perspective, recommended by the Nominating Working Group and approved by USGBC's Board of Directors, enables USGBC to broaden, deepen and diversify its strategic position and influence. Please take some time and review the general and perspective specific criteria. And help us get the word out to your network of friends and colleagues to encourage them to self-nominate - or self-nominate yourself if you're interested and qualified. When the nominations period closes, the Nominating Working Group will review the nominations to verify compliance with the criteria, and select two to four of the most qualified nominees for each perspective. The election for the USGBC 2012 Board will begin on October 3, and run for at least 30 days - longer, if needed, to achieve quorum equal to ten percent of USGBC membership. Second: Get out the vote! As with the nominations process, the election will be invigorated by a solid turnout. USGBC provides for proportional voting-every full-time employee of a USGBC member organization is eligible to vote. Opportunities to meet the candidates will be provided at Greenbuild; and remember to look at the USGBC and candidates' websites, and to chapters' and other member organizations' endorsements as the election gets underway. USGBC's Board of Directors is an important leadership tier. Please ensure that the Board continues to represent USGBC's diverse, strategic interests by participating in the nominations and election process for the 2012 USGBC Board of Directors. That’s my idea for what’s next in green building and global success. What is yours? We are extremely excited to announce the Greenbuild NEXT video campaign! We're asking YOU, the USGBC community, the Internet at large and idealists everywhere to tell us what you think is NEXT for green building, sustainability and our planet's prosperity. Whether your idea is specific to green building (grid positive buildings everywhere? ), sustainable living (bike lanes spanning the globe? ), or as broad as solving global climate change (a new climate treaty? ), we want to hear from you! Your videos will be posted on the Greenbuild website, and could be featured on the big screens at Greenbuild 2011 in Toronto! Whether your video is shot on a web cam or in a studio, we want to see it and share it. Your videos can be testimonials, action sequences, animations – anything. Be creative! Check out our 52-second kick-off video, or watch an example of a Greenbuild NEXT video submission from Jacob Monroe, USGBC's Education Resources Coordinator. Use hashtag #GBNEXT to share your video on Twitter, and join the conversation on what's NEXT for green building and our planet's success. The first step in creating the future is imagining it. Conceptualizing it. Predicting it. Ideas become reality. We can't wait to see what you come up with. The Greenbuild speaker roster is shaping up to be an incredible one! We just received confirmation that Thomas Friedman and Cokie Roberts will join the diverse roster of thought leaders and innovators at the Greenbuild International Conference & Expo in Toronto. Friedman, Pulitzer Prize-winning and internationally renowned author, reporter, and columnist, will lend his expertise to USGBC’s Resiliency Agenda panel, taking place at the Opening Keynote & Celebration on Oct. 5. The panel, moderated by Roberts, an Emmy Award-winning journalist, bestselling author and a 40 year veteran of broadcasting, will discuss resiliency and demonstrate how all industries can play a role in community rebuilding efforts in Haiti and around the globe. In his 2008 bestselling book, Hot, Flat, and Crowded: Why We Need a Green Revolution—and How It Can Renew America, Friedman explored the parallels between the climate crisis and the global economic crisis, proposing a national strategy, coined “Geo-Greenism,” to make America healthier, richer, more innovative, more productive, and more secure. "I find this set of issues—how we take the lead in the clean-tech revolution and use that to refresh, renew, and revive America—is what animates me most,” Friedman has said. Friedman, Farmer and Roberts will speak at Greenbuild 2011 in Toronto. Roberts serves dually as Senior News Analyst for National Public Radio and Political Analyst for ABC News, where she spent six years co-anchoring This Week with Sam Donaldson. An inductee into the Broadcasting and Cable Hall of Fame, Roberts has won countless awards, and was cited as one of the 50 greatest women in the history of broadcasting. Medical anthropologist and physician, Dr. Paul Farmer, will also participate on the panel. As Chair of Global Health and Social Medicine at Harvard Medical School and Founder of Partners in Health, Dr. Farmer has written extensively on health, human rights, and the consequences of social inequality. Check USGBC’s blog tomorrow for another breaking Greenbuild announcement. Additional panelists will be announced on the blog later this week. Stay connected via greenbuildexpo.org and follow @USGBC on Twitter using hashtag #greenbuild for late-breaking announcements and information. See you in Toronto! Last week brought good news in the efforts to restart the Commercial Building Energy Consumption Survey (CBECS), a national survey that gathers statistical information on U.S. commercial buildings, at the Energy Information Administration (EIA). CBECS, a survey that is not widely known outside of the building industry, has a huge impact on the real estate community as it is the data backbone of important programs such as LEED for Existing Buildings and ENERGY STAR. The budget compromise for this year cut EIA's funding by 14 percent. Because of the size and the timing of the budget cut, EIA chose to suspend its work on CBECS for 2011. As part of H.R. 2354, the fiscal year 2012 Energy and Water Development Appropriations, EIA is slated to receive nearly $10 million more than they did in 2011. 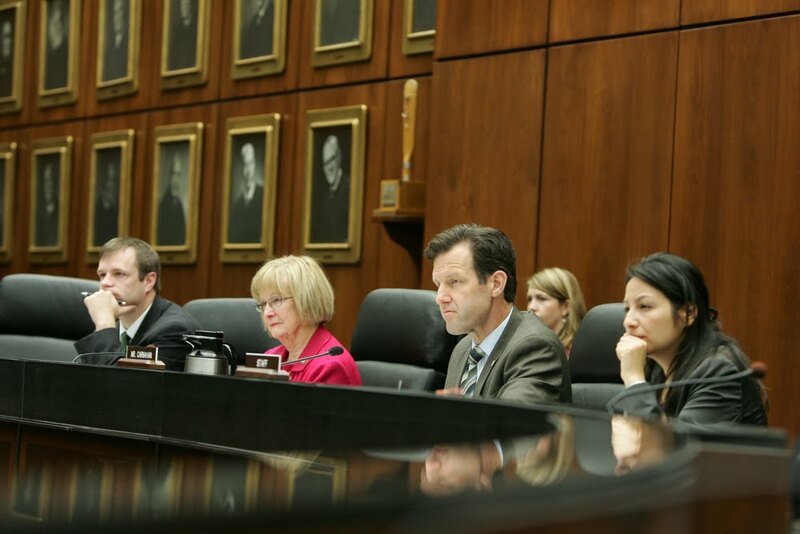 During the consideration of the bill, Representatives Judy Biggert (R-IL) and Russ Carnahan (D-MO) clarified with Energy and Water Appropriations Subcommittee Chairman Rodney Frelinghuysen (R-NJ) and Ranking Member Peter Visclosky (D-IN) that such an increase would be utilized for CBECS. First, and most importantly, it indicated the committee expects the increased funds at EIA to support CBECS. Secondly, the leadership of the subcommittee went on to discuss the importance of CBECS to the commercial building industry. “…the committee understands the importance of this program. The CBECS data is essential not just for Federal programs to reduce energy use like EPA’s Energy Star for buildings and DOE’s building technologies program, but for private sector efforts like the U.S. Green Building Council’s LEED rating system as well,” commented Ranking Member Visclosky (IN) during the discussion. USBGC along with more than 70 organizations, companies and advocacy organizations sent a letter to the Senate and House Appropriations Committees urging that Congress restore funding for the Commercial Building Energy Consumption Survey (CBECS). The letter was drafted and circulated by USGBC, the Natural Resources Defense Council (NRDC), the Real Estate Roundtable (RER) and members of the Real Estate Network for Energy and Climate Policy (RENECP), a network of professionals who support comprehensive clean energy and climate policies that advance building and location efficiency. Today USGBC released a fact sheet on the principles for reforming the existing tax deduction for energy efficient commercial buildings, Section 179D, which have united the commercial building industry and environmental advocates in their push to create jobs and slash commercial building energy consumption. These reforms could create 77,000 jobs across the US economy. You can view the fact sheet here. As background, 179D allows building owners to take a deduction of $1.80 per square foot of space for buildings that are constructed to be 50% better than a baseline energy code. The policy was originally passed in 2005 and is on the books until 2013, but the recession has severely decreased the number of new buildings being built, while interest in retrofits of existing buildings has skyrocketed. It is USGBC’s overarching goal to push for changes to this policy that will encourage retrofits of existing commercial and multifamily buildings. These are the same principles that garnered support from 86 diverse organizations that sent them in a letter to the US Senate in June. These are the same types of reforms that the President has identified as a priority component of the Better Buildings Initiative. And last but not least, the fact sheet explains that these same principles could create 77,000 new jobs, according to an analysis from the Political Economy Research Institute. Every legislative proposal has an uncertain future right now, as partisanship and rhetoric have superseded governing, but certainly we will press forward. We think that encouraging building owners to invest in their own buildings to make them more efficient, cheaper to operate, and more attractive to tenants while simultaneously creating 77,000 jobs and slashing energy consumption is something that should be considered by any member of Congress, regardless of party, that cares about our economic recovery. As I mentioned in my last post, it’s public review season for green building codes, standards and rating systems! Released in early 2010 as a fully-published ANSI standard, Standard 189.1* has been something of a constant amidst the past year’s public review process for the International Green Construction Code (IGCC). But to better coordinate the technical development and alignment with the IGCC, ASHRAE is currently targeting a release date of the Standard’s next version before the end of the year. We need your expertise and input in the development process. Let me introduce you to how it works and how you can help. As a matter of policy, ANSI standards keep the door permanently open for proposals to change the requirements of any standard. So ASHRAE is always collecting proposals for Standard 189.1, and your input is always welcome. The project committee overseeing the maintenance of the Standard meets regularly throughout the year to review these proposals and take a close look at any additional areas of the Standard that may need revision. As revisions to the Standard (including approved proposals and committee recommendations) are approved by the Committee for public review, they are posted on the ASHRAE web page for free download and solicitation of constructive comments by any member of the public for a period of 30-45 days. You’ll find it easier to keep track of these opportunities for review and comment if you sign up for the Committee email distribution list. You may also find that you get a better sense of how it all works if you attend one of the two annual public meetings of the 189.1 committee, held at the ASHRAE winter and summer meetings. The more frequent interim meetings (typically virtual meetings or phone calls) may be easier to join as an observer. At any meeting you may address the project committee and participate in discussions with permission from the chair. All of this information and more is available on the Standard 189.1 portion of ASHRAE’s web site. There, you can also preview the Standard. So get out your red pen and consider drafting your own proposal. If you’ve never written a proposed change for an ASHRAE standard before, here’s how. You may also consider simply commenting on the committee-approved changes that are currently out for public review (and you’ll be notified of when these are released if you sign up for the email list I mentioned above). If you’ve never commented on an ASHRAE standards committee-approved change before, here’s how. Of course, ASHRAE staff is always available to assist you as needed. Email ashrae1891faq@ashrae.org with any further questions. When you take a look at Standard 189.1 through your lens of professional expertise and interest, we hope that you will keep in mind what green building rating systems are good at, and in that context, what a good green building standard should offer. Wherever possible, we hope you will help us to coordinate the technical content of Standard 189.1 with the most appropriate, “street-ready” ideas from LEED, and also with the best “code-appropriate” ideas currently in the public versions of the IGCC. As Green Building Codes and Standards Emerge, Where Do We Go from Here? *Note: the Standard’s full name is ANSI/ASHRAE/USGBC/IES Standard 189.1-2009, the Standard for the Design of High-Performance Green Buildings Except Low-Rise Residential Buildings. Most people call it Standard 189. On Thursday, the Senate Energy and Natural Resources Committee took the next step in advancing key building efficiency legislation by reporting favorably S. 1000, the “Energy Savings and Industrial Competitiveness Act,” introduced by Senator Jeanne Shaheen (D-NH) and Senator Rob Portman (R-Ohio) to the Senate. The measure, which passed on a wide bipartisan majority of 18-3, includes many similar proposals advanced in the “American Clean Energy and Leadership Act of 2009” (ACELA) from last Congress. The broad-based bill includes advances in building energy codes, creates new loan programs and expands existing ones to encourage efficiency upgrades, as well as boosts energy conservation within the federal government. To date, there are over 100 companies and organizations that support the legislation, including USGBC. 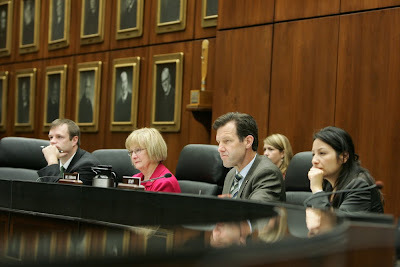 During committee consideration the bill was modified in a few key ways through a “manager’s amendment:"
The title pertaining to energy efficiency administered by the Rural Utility Service (RUS) at the United States Department of Agriculture (USDA) was also removed because of committee jurisdiction. In a statement Senator Shaheen hailed the committee’s action. The bipartisan passage of this legislation is a good sign that it might see the Senate floor but a timeline for consideration by the full Senate was not announced. All of the student leaders are impressive, but we’d like to particularly congratulate Alexa Boghosian and Matthew Evans. Alexa is a student at the LEED-Silver Marlborough School in Los Angeles, CA, and the founder of Green Teens, a network that works with local elementary schools within the Los Angeles Unified School District to teach students about sustainability. Earlier this spring, Center for Green Schools Director Rachel Gutter spent a day with Alexa, and then praised her work in a later Grist interview about the green schools movement. Matthew Evans founded Discover Green in Pflugerville, Texas, where he organizes youth around broad community sustainability initiatives, particularly through environmental service projects. Matthew is an inspirational teen who is also a previous recipient of one of USGBC’s Young Leader Awards. The focus of this week’s Champions of Change award demonstrates the tremendous leadership of the Executive Branch in its ongoing commitment to green schools. Congratulations to Alexa, Matthew and all the Champions of Change! It’s Green Building Code, Standard and Rating System Public Review Season! Sharpen your #2 pencils and get out your thick red pen. There’s a lot going on this summer in the technical development of green building codes, standards and rating systems, and we need your input. LEED: USGBC will re-open the LEED green building rating systems for public review and comment for a period of 45 days. A date has not been set, but expect it soon. For more information, visit the LEED technical development page. To learn of LEED technical developments as they happen, sign up for the LEED Update or the free email updates on BuildingGreen’s LEED User. 189.1: As an ANSI standard, proposals to change the requirements can be submitted at any time, and all approved changes are always open to public comment, but the 189.1 project committee is meeting in July to develop a series of revisions that will need your input. To keep up to date with the Standard’s technical development, sign up for the Standard 189 Listserv. IGCC: following its May development hearings, the ICC has published the results from the public hearing that are open for written comment from now until August 12. For more information, see the IGCC Development Schedule page. When you take a look at these documents through your lens of professional expertise and interest, we hope that you will keep in mind what rating systems, codes and standards are good at, and that your comments will guide each of them towards achieving their best and most productive outcomes. As Congressional leaders and the Obama Administration continue to negotiate over long term deficit reduction and the raising of the federal deficit ceiling, the U.S. House of Representatives this week is considering the funding for the Energy and Water Appropriations. H.R. 2354, the fiscal year 2012 Energy and Water Development Appropriations, is over $1 billion below the amount appropriated in 2011 and almost $6 billion below the President’s budget request for 2012. Important programs in energy efficiency and green building take a hit. The building technologies program at the Department of Energy (DOE), for example is slated to have their funding reduced by over $60 million. The good news is there is an effort afoot to restore the funding to building technologies and other key energy programs. Congressman Bass (NH) and Congressman Tonko (NY) have introduced a bipartisan amendment to provide funding at the same levels as fiscal year 2011 for the Weatherization Assistance Program (WAP), the State Energy Program (SEP), and the Buildings Technology Program at the DOE. 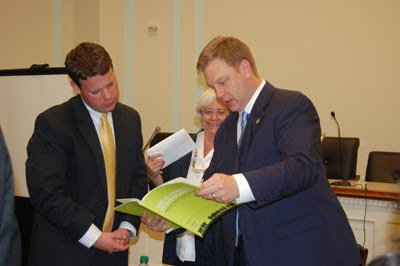 The amendment has support from a broad coalition of supporters, the building industry, efficiency and environmental advocates and is buttressed by the real results of leveraging private sector investment and helping to reduce energy use of consumers nationwide. 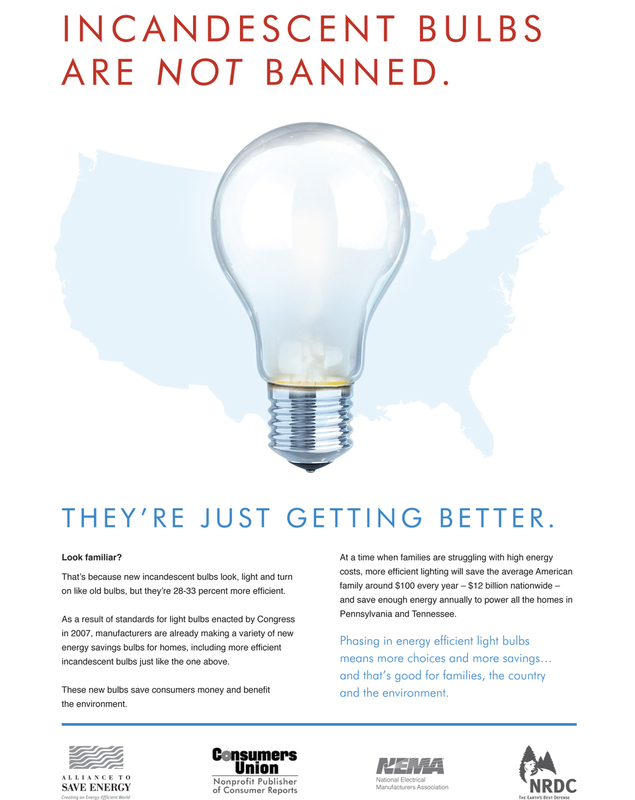 In a letter to members, Congressman Tonko and Bass site an Oak Ridge National Laboratory study that found every federal dollar invested in the weatherization program that $7 in energy savings are achieved, and almost $11 in non-federal funds are brought to bear. At a time when everyone needs to do more with less, the administration need to take a thorough review of government programs but they should not minimize federal investments that support long term job growth and have a positive economic and environmental effect. Congressmen Bass and Tonko are right to reinstate funds to these important programs. Representatives Ben Chandler (KY-6), Robert Dold (IL-10) and Jim Matheson (UT-2), the co-chairs of the bi-partisan Congressional Green Schools Caucus, sponsored a briefing on Monday, July 11, to educate their colleagues on the significant financial savings greening our nation’s schools can have for school district budgets and the taxpayers who fund them. (Read Congressman Dold’s press release on the briefing.) With presentations from a panel of industry experts, attendees heard first-hand about how the green schools movement has become mainstream in construction and renovation practices, and moreover, how energy efficient technologies can save schools money and improve learning conditions. Judy Marks, Executive Director, National Clearinghouse for Educational Facilities (NCEF), introduced the components of a green school, and provided an overview of the current federal and state landscape for healthy, high-performing educational facilities. Marks also discussed NCEF’s involvement in the Coalition for Green Schools Executive Committee, and the power of uniting organizations to advance this movement together. Andy Olivastro, Manager, Community Affairs, United Technologies Corp (UTC), highlighted the leadership role of the private sector, and specifically how UTC is furthering its longstanding commitment to sustainable practices and education with its sponsorship of the Center for Green Schools at USGBC. Olivastro also provided examples from UTC companies of energy efficient technologies saving schools money on operation costs, as well as improving learning environments, including Okeechobee High School in Okeechobee, FL, which is saving 40 percent on its energy costs after installing a quieter, high efficiency rooftop air conditioning unit from Carrier, among other upgrades. Susan Castellan, Sr. Project Manager, Whiting-Turner Contracting Co., described the changes she has witnessed during her twenty-plus year career in the construction industry, and how green practices have shifted from being foreign to common on construction sites. Castellan connected these new practices with the current green jobs movement, and then provided a detailed overview of the cost-savings technologies installed at the LEED Gold Stoddert Elementary in Washington, D.C.
Andy Olivastro, UTC Community Affairs, speaks with Kris Denzel from Congressman Dold’s staff. Meanwhile, one member of the Congressional Green Schools Caucus spent time today seeing green building technology in action --Rep. Chris Van Hollen (MD-8), visited the LEED Gold Camille Kendall Academic Center at the Universities of Shady Grove. 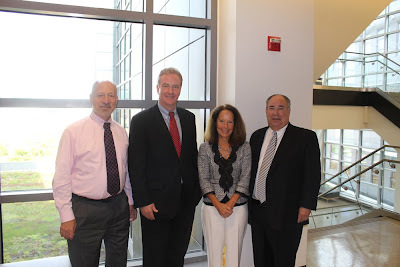 left to right: Stewart Edelstein (Executive Director), Congressman Van Hollen, Mary Lang (Director of Planning) and Bill Schlossenberg (Director of Development and Community Partnerships). UPDATE: The bill, which needed 2/3 to pass, failed. UPDATE: Office of Management and Budget (OMB) issues statement, opposes H. R. 2417. 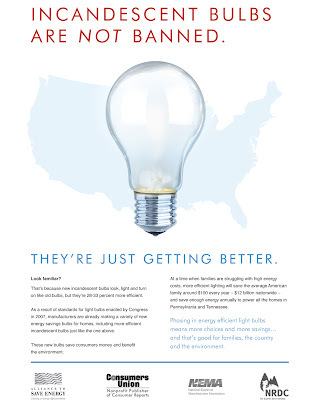 As early as Monday, the full House of Representatives is poised to consider H. R. 2417, the “Better Use of Light Bulbs (BULB) Act,” which seeks to roll back energy efficiency standards for light bulbs. The bill, which was introduced by Congressman Joe Barton (R-TX), seeks to repeal standards that became law in 2007 as part of the Energy Independence and Security Act (EISA) while preempting states from setting lighting efficiency standards. This bill, which due to procedural requirements needs two-thirds support in the House to advance, has been universally panned by consumer groups, advocacy organizations, and industry for a number of reasons. First, a repeal of this kind would increase energy use. In testimony to Congress earlier this year, the U.S. Department of Energy (DOE) went on record opposing such legislation and noted that eliminating these standards would increase energy consumption by 21 quads over the next 30 years. The U.S. uses about 100 quads of energy in a year, so this needless increase would be a staggering waste of money and increase in air pollution and its associated impacts, like childhood asthma. Such a move seems especially unwise considering that energy supplies are volatile enough to have warranted the release of 30 million barrels of oil from the Strategic Petroleum Reserve last month. Second, the bill would cost consumers more money. According to analysis from the Natural Resources Defense Council (NRDC) and the American Council for an Energy Efficient Economy (ACEEE), utilizing these new lighting standards would save individual consumers annually over $85 a year, or over $12.5 billion nationwide. Raising cost to consumers would come at a time when the unemployment rate is still hovering at 9 percent. Third, it would negate the investment in efficiency that industry has already made, therefore putting them at a competitive disadvantage to foreign manufacturing. Sylvania, for instance, has made significant investments to upgrade a facility in Pennsylvania to make new efficient lighting. Cree, a LED lighting company, has grown from a small group of engineers to about 5,000 employees to meet growing demand for their products. A bill that would increase energy use, add costs to consumers, and threaten American competiveness sounds like an idea that Congress should reject.